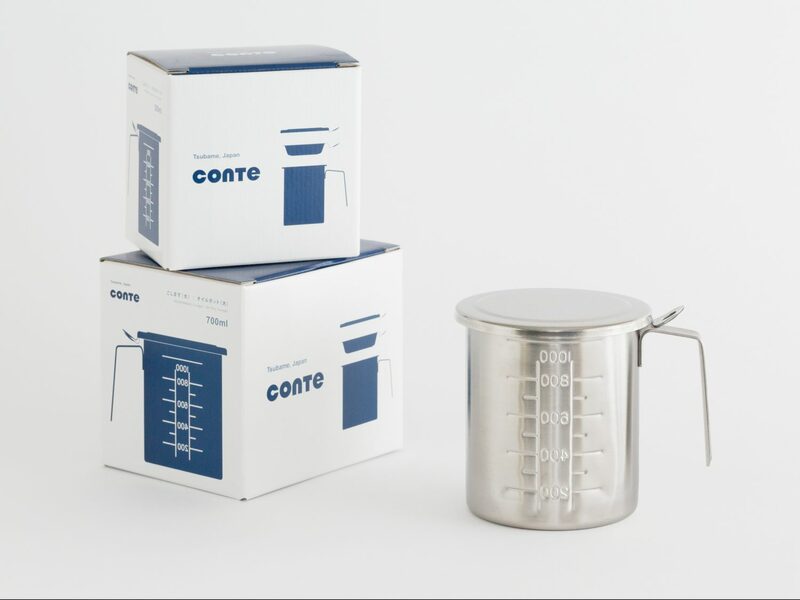 conte "KOSHIMASU" server is designed to be used as a Dressing Server as well as an Oil Pot, and it is conte's newest product! 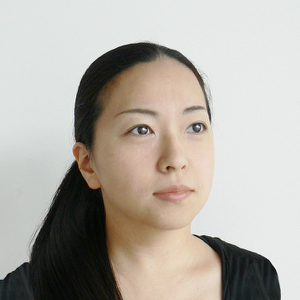 KOSHIMASU in Japanese means to strain. 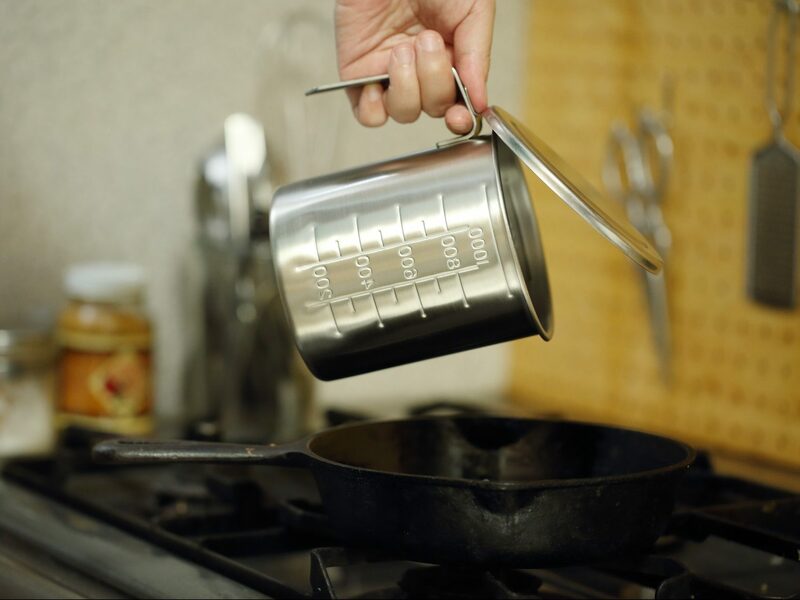 This pot consists of a container, a lid and a strainer. 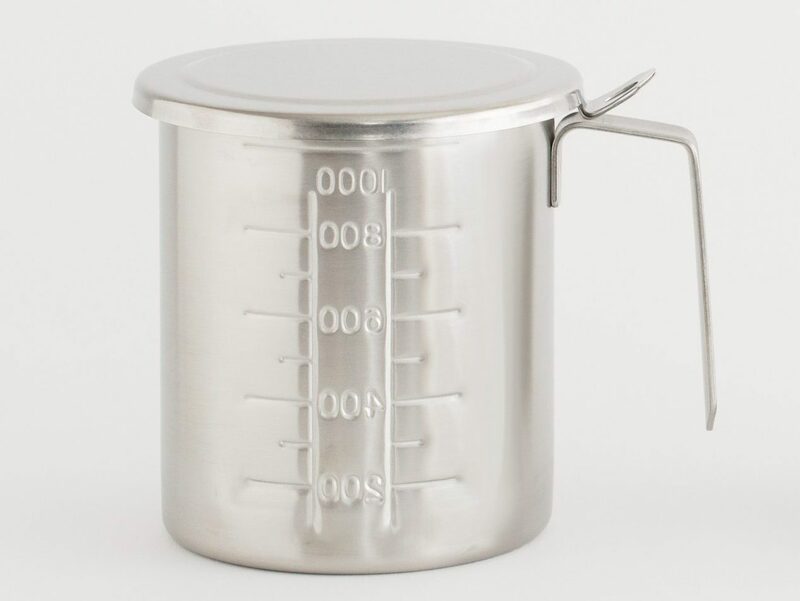 The container itself is a measuring cup. Its design is vertically long so that it can be cleaned easily and fit anywhere in the kitchen. 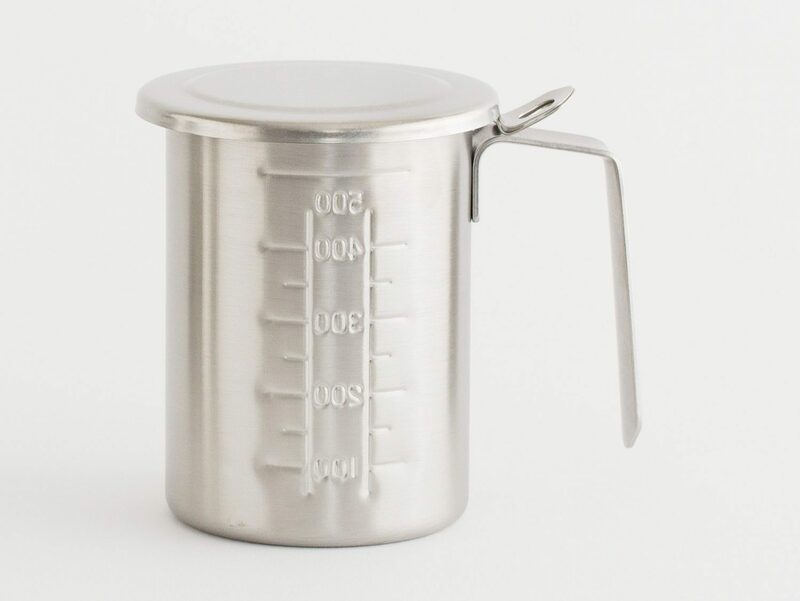 It is also designed so that any mixture can be poured from any angle of the container without any dripping, keeping the pot always clean. 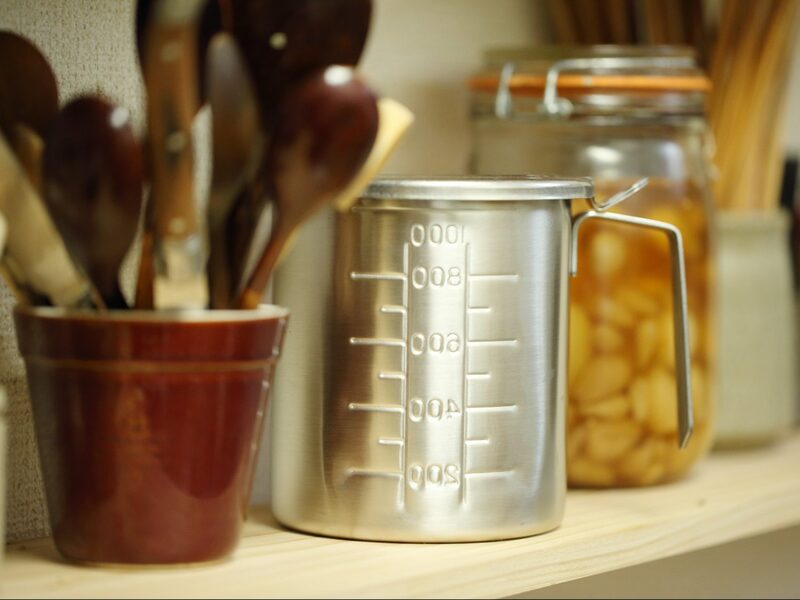 It is perfect to be used as a dressing server where you can measure the ingredients and mix them, such as olive oils, vinegars and spices. Then you can pour the mixture on salads or pastas and use the strainer if you don't wish to have all spices. 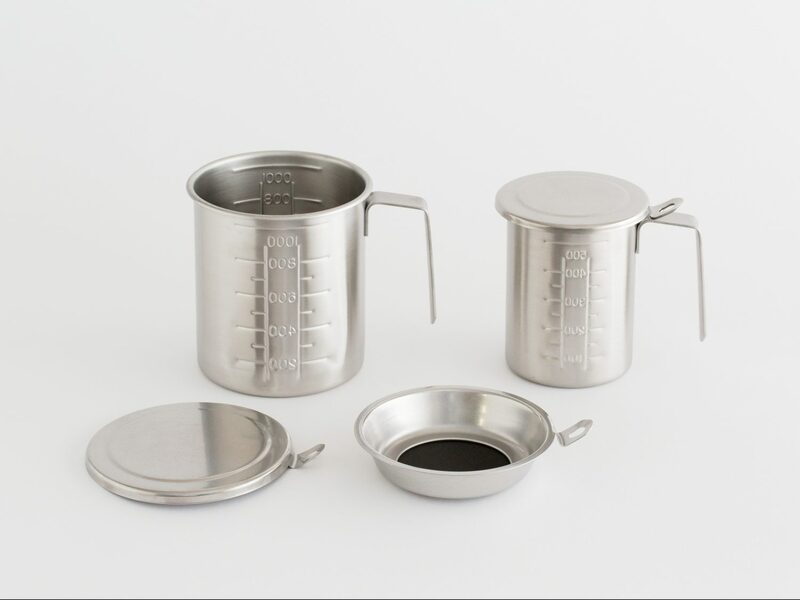 Also, it is an oil pot to store oil and it is very convenient while cooking as you can pour the oil on the pan with only one hand. 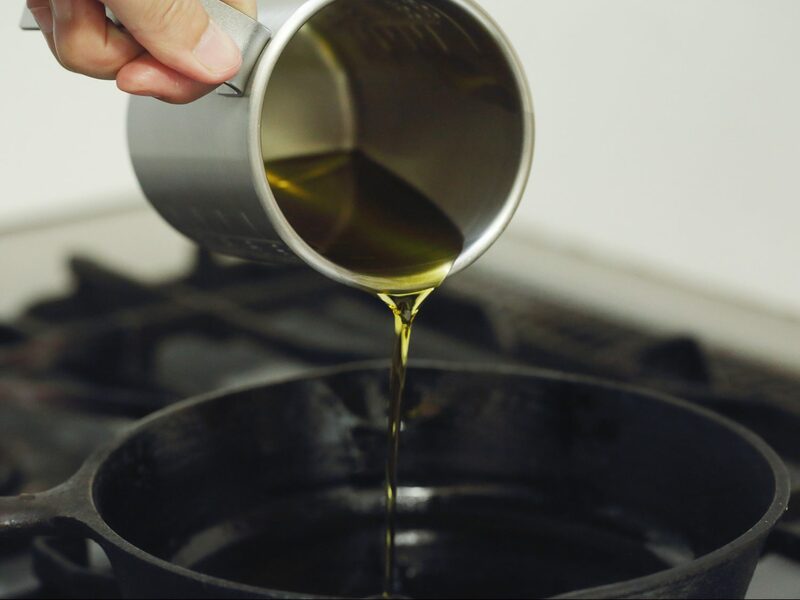 It is recommended to use up the oil prepared in this pot as soon as possible. Depending on the type of oil, there may be some dripping.